Making information and communication technology (ICT) readily available for vulnerable countries and harnessing its potential to help tackle a raft of ills – from natural disasters to hunger – will be among the issues on the agenda at an annual United Nations information forum that kicked off Monday in Geneva. From building vibrant information and communication technology (ICT)-centric ecosystems to harnessing their potential for disaster risk reduction, the annual United Nations forum on information kicked off Monday – exploring a range of compelling possibilities to meet sustainable development challenges. More than 2,500 ICT experts from around the globe have assembled at International Telecommunication Union (ITU) headquarters in Geneva for the World Summit on the Information Society (WSIS) Forum seeking to bring benefits to everyone, everywhere. “[The WSIS Forum] is our common platform to review the achievements of [information and communication technology] developments, to discuss the challenges and opportunities, to showcase innovation and to share best practices,” said ITU Secretary-General Houlin Zhao. Innovative projects showcase ICT solutions in areas as diverse and critical as the ‘Internet of Things’ for development, e-agriculture, information accessibility, cybersecurity, virtual reality (VR) and education, autonomous robots, gender empowerment, and the implementation of WSIS Action Lines – a framework for worldwide action on ICTs – towards the Sustainable Development Goals (SDGs). On site, “ICT Solutions for SDGs” will include drones for social development, robotics, artificial intelligence – and VR experiences. 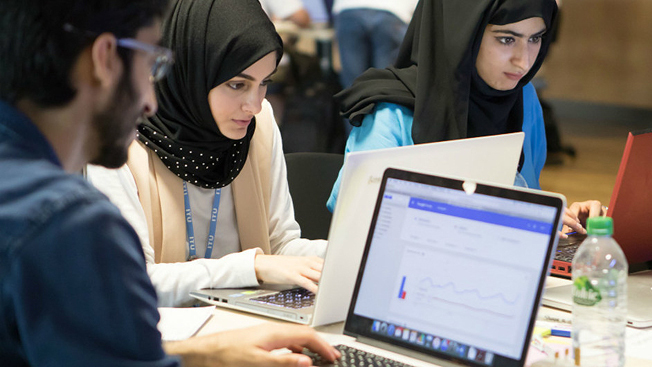 This year’s WSIS has raised the spotlight on how ICTs can help achieve the Sustainable Development Goals (SDGs), including with a new Youth in ICTs track to leverage the skills of young people aged 18-35. In a Cloud Café, youth and subject-area experts will exchange knowledge to advance the UN’s work while a Vloggers for SDGs session will discuss how YouTube has changed the way development organizations communicate with the public, including the rise of video blogging or Vlogging. An innovation track called Accelerating Digital Transformation: Building Vibrant ICT Centric Innovation Ecosystems, provides a unique opportunity to build high-level dialogue, cooperation and partnership and identify good practices to support innovation ecosystems and funding policy for sustainable ICT projects. For the second-annual global Hackathon, called #HackAgainstHunger, the ITU, Food and Agriculture Organization (FAO) and Impact Hub Geneva assembled more than 75 coders, food and agriculture experts and innovators to develop new ICT solutions to end world hunger. During the Forum, WSIS Prizes will be awarded to recognize outstanding projects supporting the SDGs. Winners, or WSIS Champions, will play a key role in engaging global and grassroots community in online and community advocacy going forwad. This year’s forum marks 15 years since the first Summit was held in Geneva, demonstrating that the foundations of a “just and equal information society” set by the Geneva Plan of Action in 2003 are still crucial to all WSIS stakeholders.